The hip joint is one of the largest weight-bearing joints in the body. This ball-and-socket joint allows the leg to move and rotate while keeping the body stable and balanced. The hip joints are versatile joints. They support your body while allowing you to perform a wide range of activities. 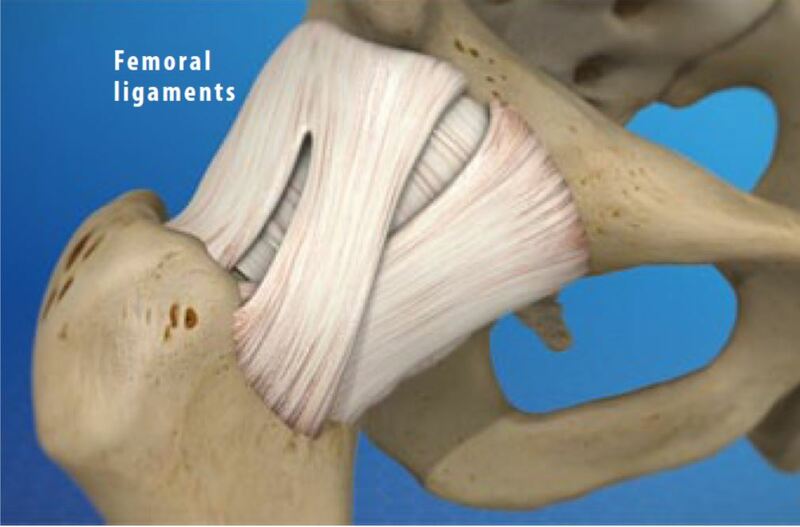 Because the hip joints bear such a heavy load, they are vulnerable to injury and to osteoarthritis. Two bones meet at the hip joint, the femur and the pelvis. The femur, commonly called the “thighbone,” is the longest and heaviest bone of the body. At the top of the femur, positioned on the femoral neck, is the femoral head. 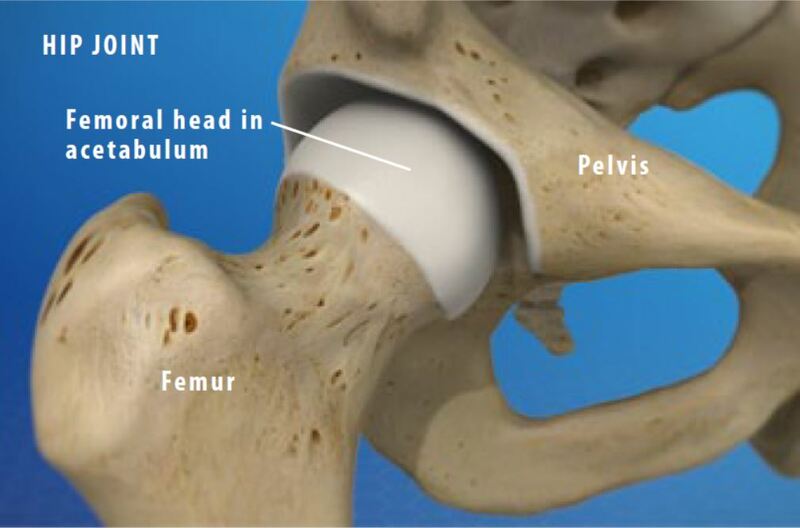 This is the “ball” of the hip joint. The other part of the joint – the “socket” – is found in the pelvis. The pelvis is a bone made of three sections: the ilium, the ischium and the pubis. The socket is located where these three sections fuse. The proper name of the socket is the “acetabulum.” The head of the femur fits tightly into this cup-shaped cavity. The femoral head and the acetabulum are covered with a layer of articular cartilage. This tough, smooth tissue protects the bones. It allows them to glide smoothly against each other as the ball moves in the socket. Several soft tissue structures work together to hold the femoral head securely in place. 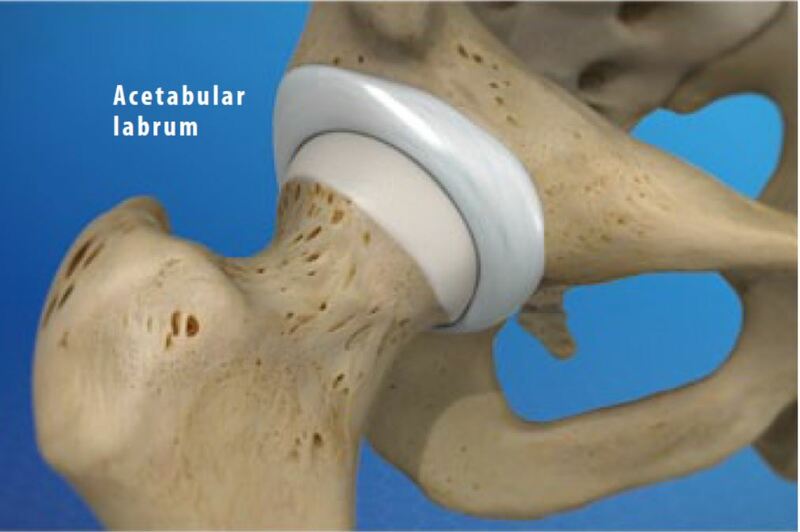 The acetabulum is surrounded by a ring of cartilage called the “acetabular labrum.” This deepens the socket and helps keep the ball from slipping out of alignment. It also acts as a shock absorber. The ligament of the head of the femur anchors the ball to the socket. The entire joint is wrapped within three large femoral ligaments.